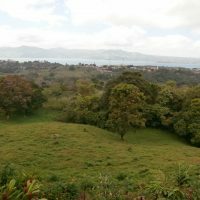 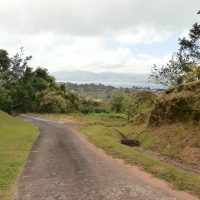 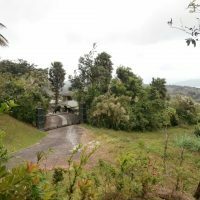 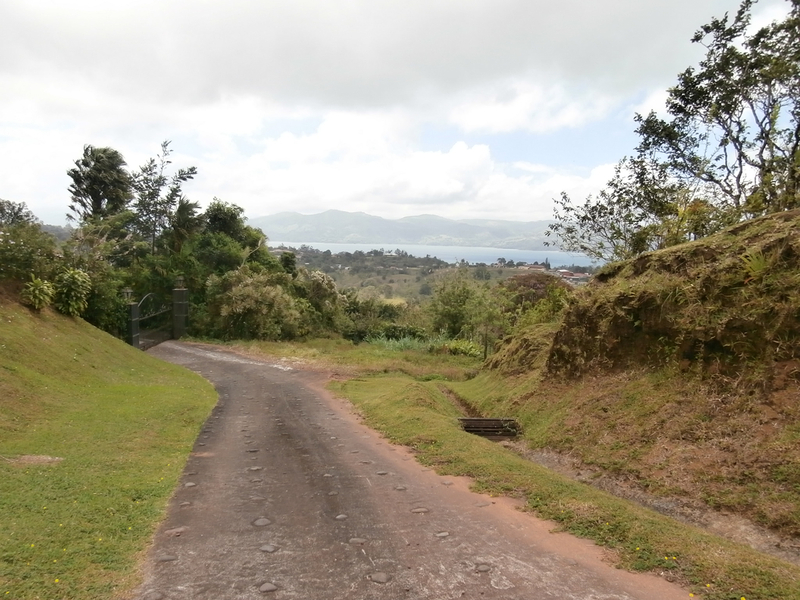 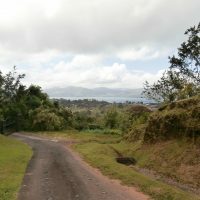 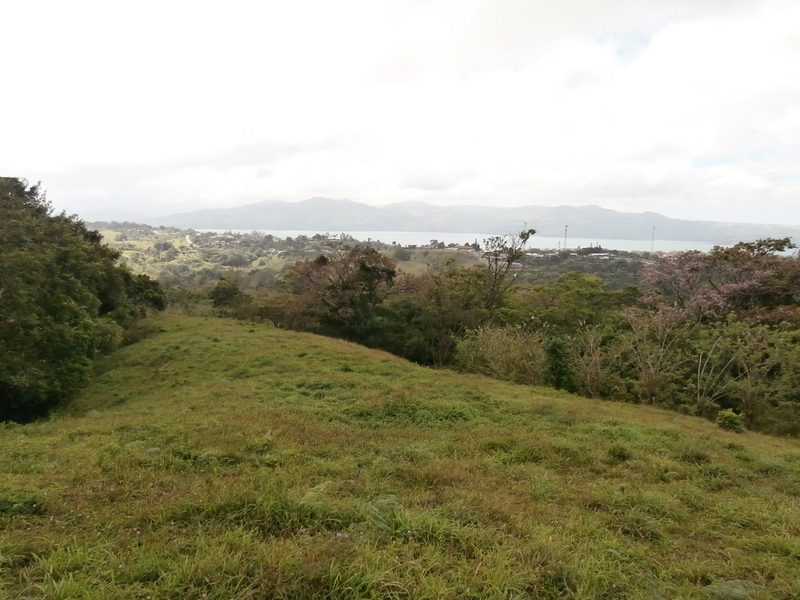 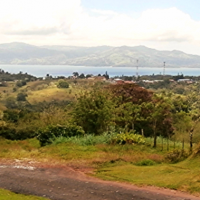 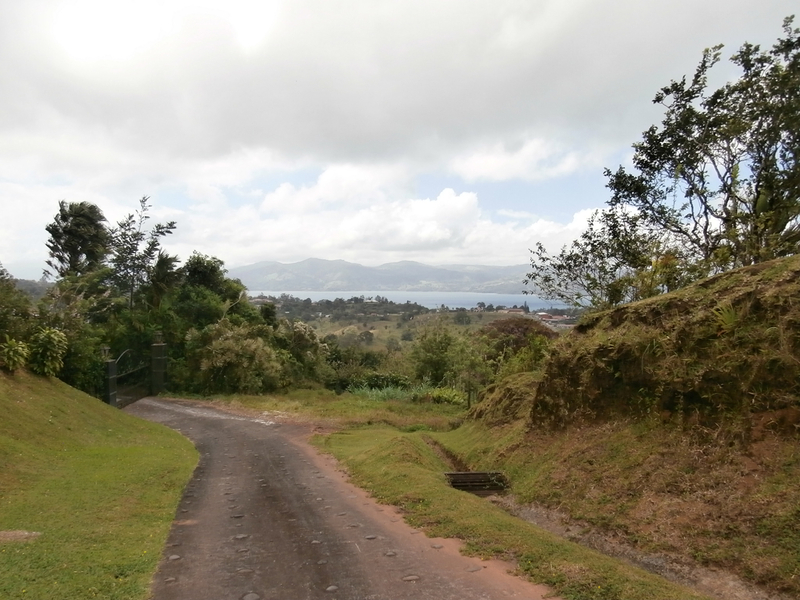 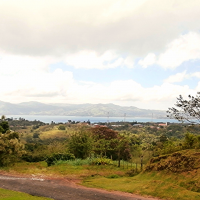 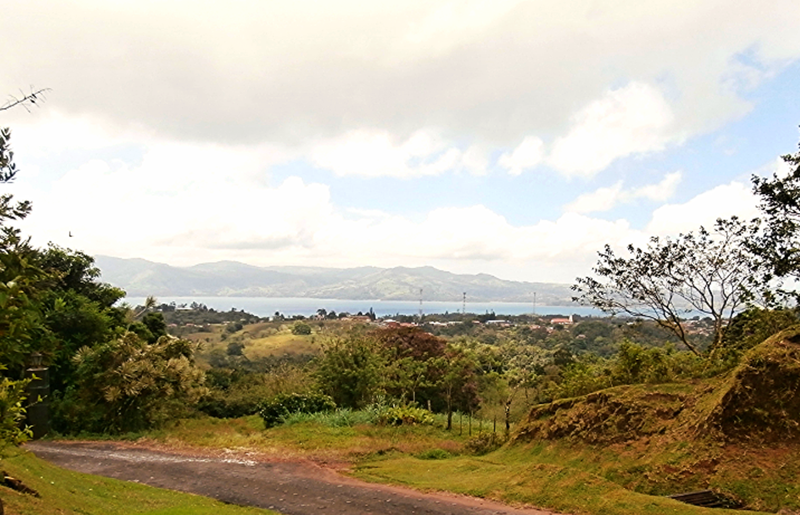 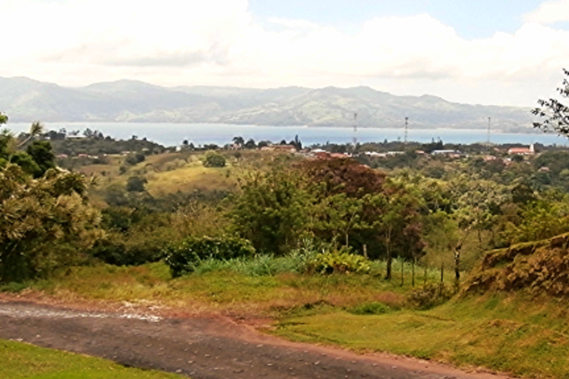 15,000 m2 ( 3 3/4 acre ) of land, mostly flat and cleared, enabling wide view towards the lake and Arenal town below. 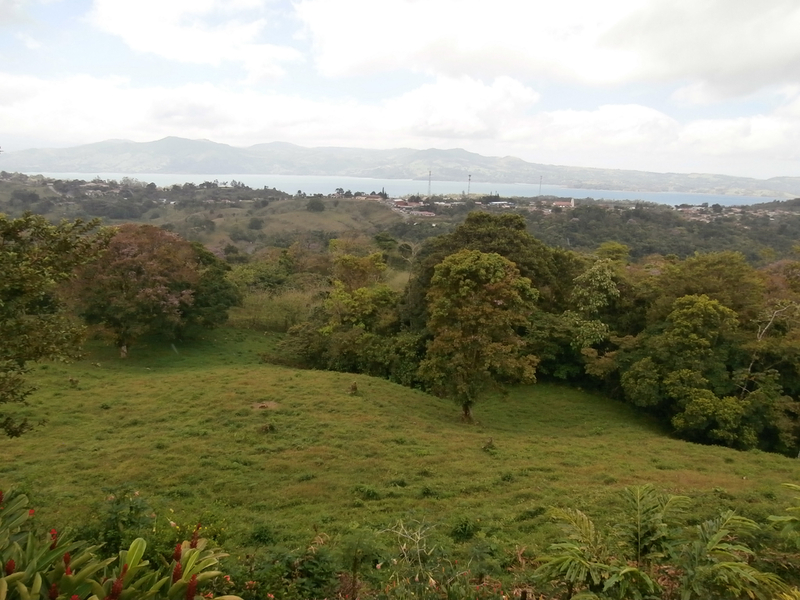 Located in a good neighborhood of quality homes. 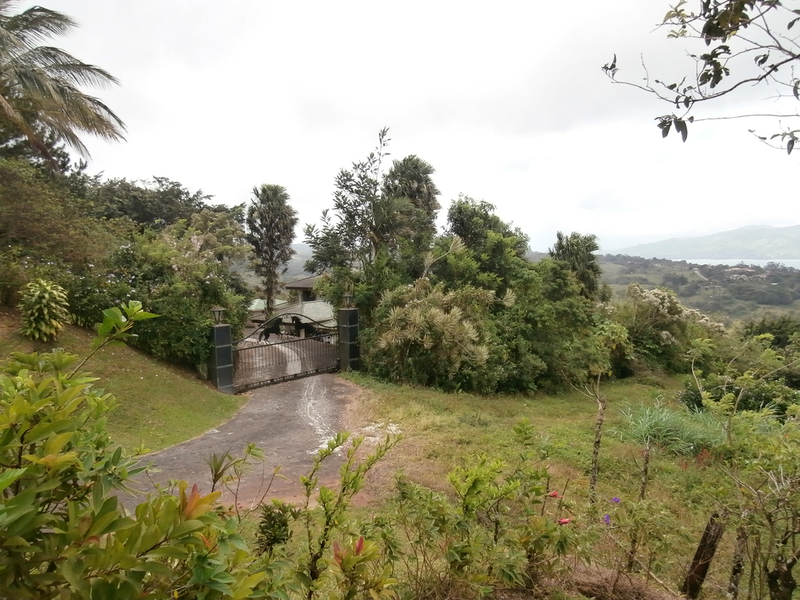 Water and electricity at site. 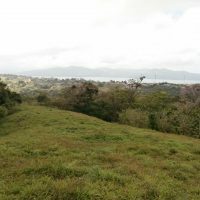 Great deal @ $12 per square meter.